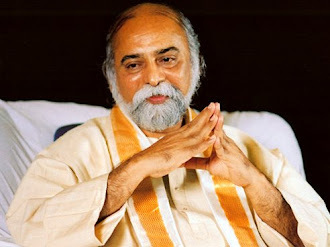 Bhagavan: Namaste, Love you all! 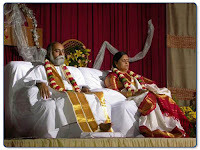 Q1: In the process, we were given instructions about the blessing. (couldn't understand the exact words.) Later we were asked to practice certain sadhanas. Many blessing givers don't do sadhanas or give deeksha, but instead practice other meditations. We would like to know what we should do to grow as fast as possible and what do you think of those other practices? A1: As far as we are concerned, we have no objection for you to practice any others teachings, sadhanas, and meditations. Oneness is complete freedom. You can do whatever is convenient and suitable for you. As far as we are concerned, if you want to grow faster, you have to interact with me. Whether you interact with me through Skype or India, it is the same and is level 3 and I can help you to grow faster. We would like to train the 5 trainers you have now in your country so they can help the people grow. The other part is interacting with me. That's how you have to grow fast. Q2: Even though we try to give blessings as much as possible, we are noticing more and more that the interest of the people is absent . . .(Some words that couldn't be understood.) Changes are going too slow and many are searching for new methods and gurus that would take care of their troubles. What is the cause of this? What can we do to improve the situation and get more people interested in inner growth? What can we do to support your vision? How can we help you create a new world and new ways that people will live in happiness? A2: Oneness is equal to psychology plus spirituality. So to give a proper blessing, you must understand the person. Give them the necessary teaching and then the deeksha. The teaching and the blessing must fuse. Sometimes, for emergencies, the blessing itself will work. But for some kind of transformation, the teaching he teaching must be given. The person must be made to get an insight into it and then that must be made an experience with deeksha. The teaching cannot give an experience. It can give you an insight. For the insight to become an experience, you must add the deeksha. It must be perfectly tuned in. The trainers must know how to do this. Unless they use this, people may not get the best benefit and they may lose interest. For the second part of how you can help me. You must produce a large number of blessing givers in your country in 2010 and 2011. 2012 is the year where we are going to make things happen. As you give blessings to each other in 2012, you'll be moved into higher levels of consciousness. You'll have very different experiences depending on your reference to the divine. (Details followed similar to what he's said in earlier broadcasts. Buddhists will experience Buddha consciousness, etc. ) This process will not be sameness, but oneness. As people move into higher states of consciousness problems will start to disappear starting at the personal level and progressing through the family, community, country, and finally globally. 2012 is our work. That is the year when the process will happen. All this is in preparation for 2012. Q3: Can you tell us when Level 1, 2, and 3 will be done and where. Can we meet with you and how can people become trainers? A3: When I'm talking to you on spiritual matters whether in India or Skype, that is Level 3. In India, there will be Level 1 and Level 2 for some more time. We'll prepare trainers to teach these courses in their own country. Until they're prepared to teach in their countries, the courses will be in India. Courses will be free of all charges. Costs will only be for internal travel, food, room, and laundry. For a 7 day course. It will only cost you $700. Compared to $3000 in Italy without. That will be one type of accommodation. And there will be one $150 less for different type of accommodation. Those who want to become trainers, you must send in your applications supported by 10 trainers or 25 blessing givers. We'll train you to become trainers and to initiate blessing givers after giving the 2 day course without the video. You must digest the material from the current course on video and come up with your own material. You don't need to do Level 1 or Level 2 to become a blessing giver. We are activating the nadis remotely for the current trainers so that after sunrise in your country on December 3, they can initiate blessing givers for those who have done the Oneness Experience course. When you come to India, I'll be meeting with people 1-2 hours 3 days a week. Won't be one on one. 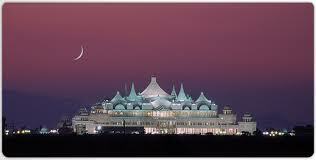 At that time you can come to the World Oneness Center where I'll be interacting you. Instructions given again for how to do the initiation by calming the person first and then being sure to contact with middle fingers the middle of the head where the spot was soft as a baby. Be sure to pray the entire 3 minutes that the divine (AmmaBhagavan or diety reference of your choice) make the person into a blessing giver. (Leaving the detail out as it is consistent with earlier demonstrations.) By the following week as the person gives blessings they will be continually growing. Charges for initiation will be up to you. We will not interfere from India. One suggestion, please give it to poor people for free or in exchange for some flower or sweet or service. The fees should be taken at the appropriate level for your country. As we interact, we'll strengthen your power. Thereby your deekshas will become more and more powerful. Most important to understand what teaching to use and how to use the teaching, and how to combine with the deeksha. For example, In India, when some people come for some difficult problems, somebody is dead in the family so they want to talk to them. We give them a teaching, we prepare them, and we give them a deeksha. They'll be able to see their dead ones, almost physically. They will talk to them. That's how the deeksha works. You have to prepare them and then give them the deeksha. And they chat away with the dead ones and become very, very happy. I recently had a meeting where a lady met with her dead husband who had been dead for 10 years. She's been weeping and weeping. They spoke to each other for about 15 minutes and she was very happy. The deeksha is an extremely powerful tool if you know how to use it. So we'll train you on that.